Nollywood actress, Ibinabo Fiberesima has finally opened up on the death of a medical doctor, Suraj Giwa after 12 years. 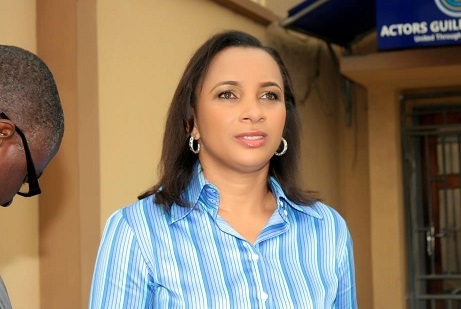 Ibinabo had killed the medical doctor in a fatal accident that sent her into coma for days. She was charged for manslaughter and sent to Kirikiri female prison. Ibinabo in a lengthy post on Instagram, told her story to US-based journalist, Azuka Jebose. “I need to tell my story. I stayed silent for so long and watched as my life, character and person were being ruined in published reports, including social media. This is my story, told for the first time on social media platform. “My heart has never stopped aching. It will not. An accident took the life of someone. I am forever in mourning because of this. Two families’ lives have been changed forever with this unfortunate fatal accident. It was an accident. Dr. Suraj Giwa didn’t have to die. I wished I could bring him back. I am sorry for the pains caused. “I have also been maligned and disparaged in the media: I am a monster. I am a killer and a murderer, I am a drunk… No. Azuka. I am none of these. “It’s been 12 years of heartache, pain and depression for me. My eyes are rivers of tears. 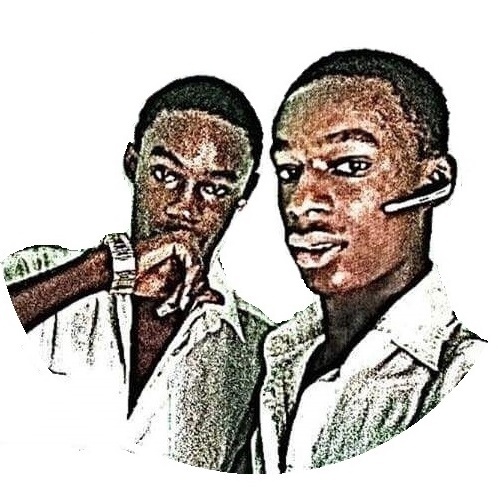 “I think about Dr. Giwa every day. I pray for his soul and I pray and seek forgiveness from his family for the pain and agony. I am very sorry. “It didn’t have to happen. I wished I knew it would happen that unfortunate day, I would not have travelled that road. I was not drunk that day. Azuka, I was driving along Lekki road, returning home after picking up a friend’s daughter from a church Fellowship. Suddenly, a red car overtook the SUV in front of me. “The SUV was travelling slowly, so I shifted to its front, too. The red vehicle was being driven by a young man and had his friends with him…I drove past the red car. I think that might have angered the young chap because he swiftly sped from behind, drove past me and made a sudden stop in my front. “I tried to avoid hitting those boys in the red car. I swerved and lost control in that moment, the impact dived my vehicle into inbound lane.. Dr. Giwa was inbound, thus he drove into my car and both cars collided. I collapsed and passed out.. Three days later, I WOKE UP IN A HOSPITAL bed to learn what had happened. “I was weak, sore and in pains. I could not move my legs. I had been sedated for three days. Doctors said they had to sedate me to numb my pain. Meanwhile, the police had been informed that I was in that hospital. The Lagos State Police came to the hospital to take my statement of what happened. After I gave them my statement, I was arrested at the hospital and charged to court. “At my court appearance for hearing, the judge noticed how sick, weak, incoherent an disoriented I was: he also saw my injuries. He ordered that I should be sent back to the hospital for further treatment until I was well enough to stand trial. I could not walk then. “Later at the hospital, I woke up from coma and to reality. I was afraid and shocked. I could not believe I was involved in an accident that had taken a life. I was like: Wow!..Someone died in that accident. Oh my God! “I didn’t know the family. While I was in the hospital my family contacted the family of Late dr. Giwa who died in the accident. My family was there for the funeral and did everything during the mourning season. I was afraid. But I met them in court and tried to approach them. “I understood the anger and pain I had caused them, so I accepted their anger toward me….his sister was really angry at me… I wanted to talk to her… it was hard for me to get close to her… I understood all these: the pain and distress they felt as a result of the accident. I felt their pain. I wanted to tell them how sorry and remorseful I was… It was an accident. I did not intend to wake up that morning, went out and had a fatal collision. “Weeks later, I was arraigned. I attended all my court appearances. During the process I visited the family and attempted several times to make peace. I never ignored them. I am always sorry. I know the pain is tough, so I understood their anger but I kept begging. I am sorry. I did not intend to wake up that morning, went out and had a fatal collision. I had gone to so many good people and friends to assist me in pleading for forgiveness from the family. One of such friends is late Iyalode of Lagos. “She assisted me in begging the Giwa family: when I became well and able to walk, she took me to The former Imam of Lagos and the Present Oba of Lagos: these traditional and religious leaders begged on my behalf, pleading with the family for forgiveness and showed how sorry and remorseful I was that the accident happened. I never ran away from the scene of the accident. I was unconscious. “How could an unconscious accident victim remove plate license and registration papers from the vehicle as reported in the media? Why would I do a thing like that? How could I have done a thing like that? “I became a monster in the eyes of everyone. So I thought suicide was the best option to end all these and find peace for my family and Dr. Giwa’s family. I lost myself. I was no longer Ibinabo. I didn’t know who I was. I became a stranger to myself and my family, afraid of life and living, scarred by and scared of human beings. “I withdrew and became clinically depressed. I could not take care of my children. I was dying. I was dying. Life had no meaning to me. I became a lonely zombie: a mother that could not care for her children, distressed, disturbed and severely depressed. “But one preacher came to the prison and preached to us. It was like he was talking to me. During his sermon, I fainted… I was revived by prisoners that attended the service. When I woke up, I was soaked in water and the prisoners gathered around me… I asked what happened and they told me I had Passed out during the service. “That opened my eyes. I asked myself then: Ibinabo, do you really want to die?. I said no. I must turn my life to purpose driven, to rescue the weak and helped those that society had turned against.. I held onto God. I told Him it was up to Him. I didn’t want to see any lawyer again, I had no money. My family bailed me out after three months and three days…. I came out to pursue the appeal. “I was living my simple life…I engaged in works with youths in my village. I enjoy spending time in my town. They know me there. They love me there… I was on my way to a funeral when my lawyer called me.. Earlier the previous day, I called to inform him I would be out of town and hoped the appeal date would not be scheduled while I was out of town. “He said no. I told him I didn’t want the court to think I jumped bail… He called me on my way to the funeral, the next day and said the court date was actually that morning. I had to hurry back to court. My lawyer did not understand what was going on. That day, I was taken back to Kirikiri maximum security prison… that was 2016. I do not know who else to talk to. “We have agreed to settle out of court… we are not there yet. It’s a process… Though I have appealed this case to the Supreme Court, what is important to me now is making peace with the family: that is more important because it will heal me… his family and I would have peace. “Azuka I am not a bad person. I do not know what else to do. People think I am a murderer. I am not. I am not. Azuka, free me….Free me… It was an unfortunate accident. I didn’t do it intentionally. That’s all I have been begging. I have begged…I do not know what to do…I am truly sorry it happened. “I am not running for any political office. My people wanted me. A group of youths from my place asked me to run for office, I said no. They went and printed poster and placed it on social media. So I endorsed it. “Eventually, I must live. I have to do things to my fulfillment, to what God wants me to do; to be able to help youths help people generally… Life in Okrika is not easy… I need to help the youths believe in themselves… they are aching.. In my region, simple things of life are a struggle to get. “I need to change their mindset that there is alternative way to Life… I have become a seeker of peace for my people… Life hasn’t been a bed of roses… But I must deal with this issue. I seek forgiveness from the family and peace of mind. I need to find closure and peace.… I am not a killer… I care too much… I am a caring person. I put myself in the shoes of Giwa’s family and I can understand their pains. I am very sorry for the loss of life of Dr. Giwa. I am. I am not arrogant. “I never, ever said to his family that I would not offer public apology. “I was offered to do a public service announcement across country with regards to Driving While Impaired. I said if I did that, it then meant I accepted I was drunk when I drove my car. I wasn’t drunk. I would do anything but that. I wasn’t drunk… they assumed because I owned a night club in the past, so I must be an alcoholic. “The police did not arrest me for drunk driving.. The court never charged me with drunk driving.. There were reckless and dangerous driving charges. “My pains through the years include: Bouts of depression Attempted suicide I Had surgeries in my breast to remove lumps. I cannot do a lot. This unfortunate experience has affected my job prospects. I am unemployable I have stopped acting for a while. I just do charity works.. I am not flamboyant.. Dear Nigeria, I am sorry. I will forever regret what happened. “Giwa was a father, husband and son. He was the sole and soul provider of his family. I feel terrible he died during an accident which I was involved. I feel really bad. I am sorry. I need prayers. Please pray for me and the soul of Giwa and his family. I know I have found God through this experience. But I still need help.